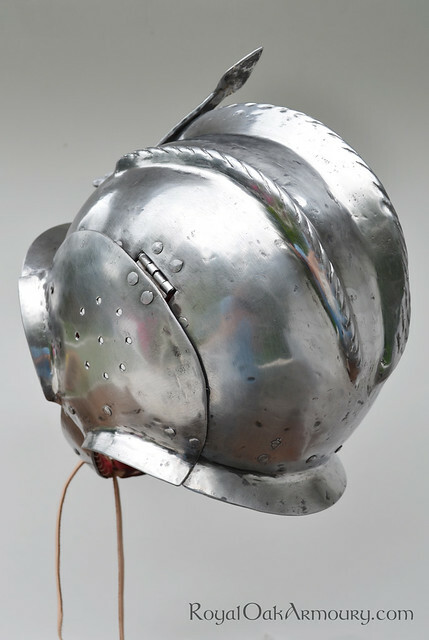 I recently finished a German sturmhaube, original c. 1510, which I am offering for sale. It is a 16 gauge mild steel prototype for my current commission, which is being constructed from 1050 steel. 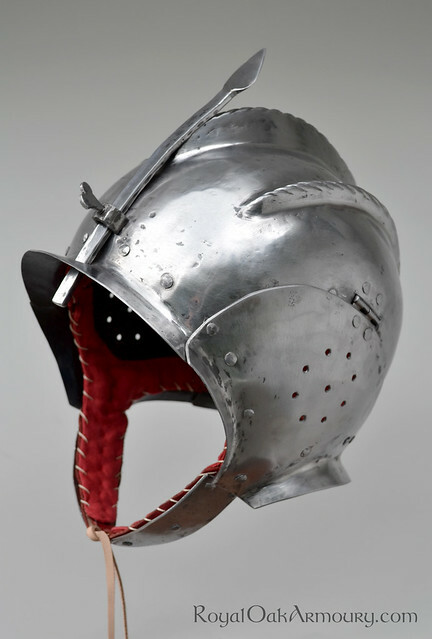 The helmet started as a tall dome made of two raised, halves, welded together, and was then further hot-raised to form the combs and brims. All fittings are hand forged. Forge scale, traces of hammer marks and directional sanding scratches under a polished surface mimic the finish of the original. Both skull and cheek plates are fully lined in hand-stitched red fustian, which has been whip-stitched to riveted-in leather bands. It can be removed for washing and stitched back in. The skull liner can be adjusted by tightening a leather thong, to accommodate variation within average head sizes - 22.5" and 24" circumference. 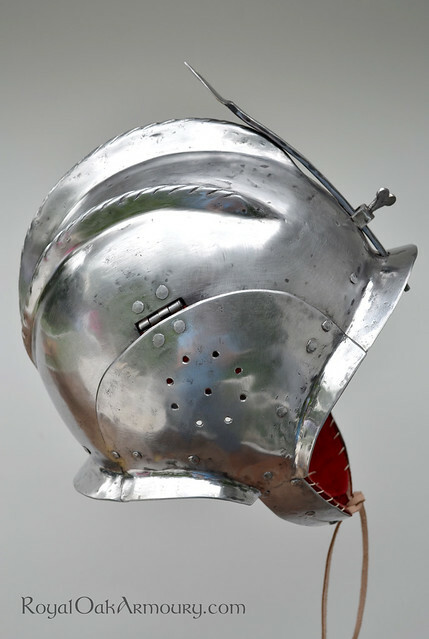 I would like CDN$800 (works out to about US$770) for this helmet, plus the cost of shipping (roughly $30 to the US, $20 within Canada, $100 overseas). Anyone interested can send me a private message.